We inhabit the same world Jesus did—one of pain, joy, surprise, suffering, and wonder. At times life is good, joyous, and fair. At other times it’s dreary, unfair, and hard. We may pray with little sense that God is listening. In many ways, divine silence is part of this life. It can be deeply unsettling when we have been wronged, misrepresented, defrauded, violated, or betrayed. Inwardly or perhaps vocally, we cry out for divine justice. To hear nothing in response is difficult, even disorientating. • How long should we keep praying if God is not answering? 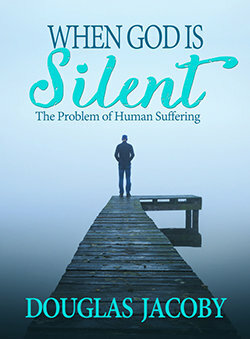 • If a person with mental illness commits suicide, can God have mercy on them? • What about tsunamis, floods, and other “acts of God”? • Why does God allow the death of the innocent? • Why wouldn’t an all-powerful and all-loving God prevent humans from doing evil? • Is there purpose in suffering and can good come from it? You can order it from the publisher’s website here.